Stunning wedding cakes ideas in red and silver. Set over 5 white round tiers comes this gorgeous wedding cake decorated in red and silver. 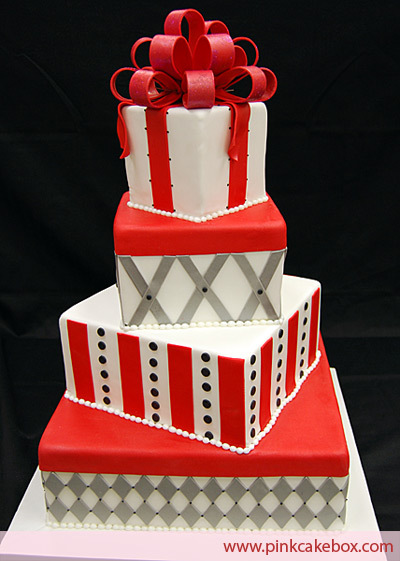 Fun red and silver wedding cake shaped as gift boxes created by Pink Cake Box. 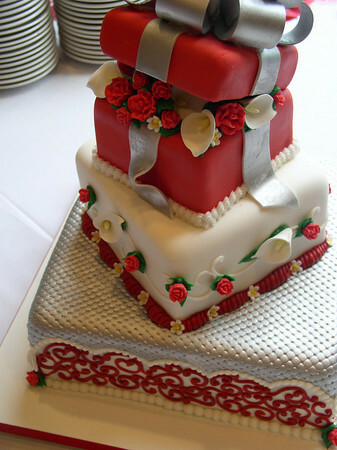 This cake was wrapped in colored fondant and decorated to look like packages. 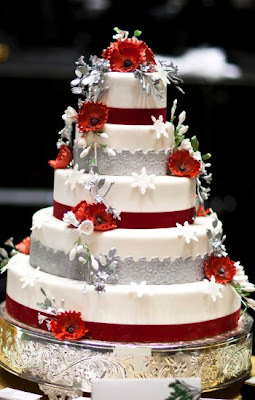 The lid was open on the top tier, and sugar flowers and a silver bow finished the top. It was a beautiful way to celebrate a wedding during the month of December. 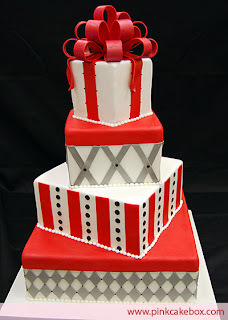 Created by Cakes by Graham. 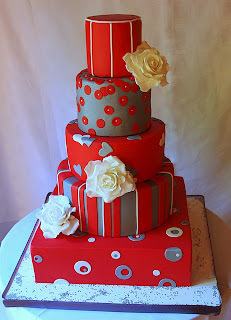 Gorgeous multi tiered wedding cake with various cute patterns designed by Mizzbar.